Please notice they do not ask for and obviously do not want any positive experiences that the public has had with any form of EDTA therapy, only the ADVERSE responses. It would seem that they have made their mind up and at this point they have no interest in generating a balanced report. They only want to hear about serious side effects. That way they can be justified in eliminating all forms of EDTA from the American market place, which unfortunately they have the legal power to do! The FDA told me in 1978, that they do not have to accept anything from private practicing doctors. As past president of AAMP, that later became ACAM, I had spent a year of my life and thousands of dollars preparing 5 sets of extensive documentation regarding the efficacy of EDTA treatment for occlusive vascular disease. That included dramatic improvements on ECG’s, plethemographs, thermographs and clinical records from over 50 of my vascular disease patients following their EDTA based treatments. Here is the full advisory from the FDA! Edetate Disodium (marketed as Endrate and generic products) This information reflects FDA’s current analysis of data available concerning this drug. FDA intends to update this when additional information or analyses become available. FDA is issuing this public health advisory to alert patients and healthcare professionals about important safety information concerning the drug Edetate Disodium. There have been cases where children and adults have died when they were mistakenly given Edetate Disodium instead of Edetate Calcium Disodium (Calcium Disodium Versenate) or when Edetate Disodium was used for “chelation therapies” and other uses that are not approved by the FDA. As a result, FDA is reviewing the benefit/risk profile of Edetate Disodium to determine if the benefits for its intended use continue to outweigh the serious risks. These two drugs have very similar names and are commonly referred to only as “EDTA.” As a result, the two products are easily mistaken for each other when prescribing, dispensing, and administering them. Edetate Disodium and Edetate Calcium Disodium work by binding with heavy metals or minerals in the body allowing them to be passed out of the body through the urine. The FDA originally approved the two drugs for very specific and very different purposes as described below. Edetate Disodium was approved many years ago as an emergency treatment for certain patients with a condition called hypercalcemia (very high levels of calcium in the blood) or certain patients with heart rhythm problems as a result of very high amounts of digitalis in the blood. However, there are newer drugs that have been approved since that time that treat these conditions. Edetate Calcium Disodium was also approved many years ago and is still used to reduce dangerously high blood lead levels (severe lead poisoning). This drug is medically necessary because there are very few other drugs available to treat severe lead poisoning. On March 3, 2006, the Centers for Disease Control and Prevention published an article in the Morbidity and Mortality Weekly Report documenting the deaths of people given Edetate Disodium instead of Edetate Calcium Disodium (http://www.cdc.gov/mmwr/preview/mmwrhtml/mm5508a3.htm). FDA was informed early in 2007 of an additional child’s death as a result of a mix-up between the two drugs. Because of the potential for these medication errors to be fatal, the CDC recommended that hospitals evaluate their need to keep Edetate Disodium stocked in their pharmacies. FDA supports this recommendation as a means of reducing the risk of confusing the two drugs. FDA is issuing this advisory to highlight the following important safety considerations until the ongoing evaluation of the risks and benefits of Edetate Disodium is complete. Because of the potential for these medication errors to be fatal, the FDA and CDC recommend that hospitals evaluate their need to keep Edetate Disodium stocked in their pharmacies. If your facility determines that there is no need to have a supply of Edetate Disodium, consider removing the product from stock to reduce the risk of confusion with Edetate Calcium Disodium. The safety or effectiveness of Edetate Disodium or Edetate Calcium Disodium for use in removing heavy metals and toxins from the body, use in treating coronary artery disease, or other uses not described in the labeling for the product have not been established. Use the full product name. Do not use the abbreviation “EDTA” when prescribing or dispensing an order for either of the drugs. Consider including the indication for use of the product on the prescribing order. Hospitals, pharmacies and healthcare providers should always check the prescribing order and the label of the drug to confirm that the correct drug has been selected for use before dispensing and administering the drug to a patient. FDA will determine further regulatory actions once we complete our evaluation of the safety and efficacy of Edetate Disodium. The FDA asks healthcare professionals and patients to report serious side effects that may be associated with the use of Disodium Edetate and Edetate Calcium Disodium to the FDA through the MedWatch program by phone (1-800-FDA-1088) or by the Internet at http://www.fda.gov/medwatch. Adverse reactions or quality problems experienced with the use of this Product may be reported to the FDA’s MedWatch Adverse Event Reporting program either online, by regular mail or by fax. Online: www.fda.gov/medwatch/report.htm Regular Mail: use postage-paid FDA form 3500 available at: www.fda.gov/MedWatch/getforms.htm. Here in their own report they admit “This drug is medically necessary because there are very few other drugs available to treat severe lead poisoning.” Then a few sentences later they state “The safety or effectiveness of Edetate Disodium or Edetate Calcium Disodium for use in removing heavy metals and toxins from the body, use in treating coronary artery disease, or other uses not described in the labeling for the product have not been established. They cannot have it BOTH WAYS!! First they admit EDTA is MEDICALLY NECESSARY, suggesting that someone at FDA is aware that Calcium EDTA really lowers lead levels. Then they send out a report stating the effectiveness has not been established. This is typical FDA nonsense, with over 50 years of clinical use on millions of patients around the world, and with hundreds of scientific articles proving the enhanced excretion of lead, whoever is responsible for releasing this report should be seriously reprimanded for apparent incompetence or serious bias. Experts in Pharmacology will have to admit that even if the FDA could prove 12 deaths in 50 years DIRECTLY ATTRIBUTABLE to EDTA, which I am confident will not be the case, that 12 deaths over the millions of doses administered is a remarkable safety record. I doubt that there is any other drug with such a remarkable safety record, since Tylenol and Aspirin kill far more each year. Then on the BENEFIT side, there is ample proof that lowering LEAD levels provides a MAJOR health benefit. In fact, just read on my website www.gordonresearch.com any of the references found in my numerous PowerPoint presentations that are all there free for downloading. For example read Archives of Internal Medicine article that “ALL CAUSES of morbidity and mortality” are tied to how low you keep your lead levels throughout life. Use those words in the search feature on my website to find hundreds of similar articles on toxic heavy metals and chelation therapy. The officials at FDA are aware that JAMA and others have published articles documenting that routinely prescribed drugs are the 3rd leading cause of death today. Yet they make no attempt to ban those drugs that kill thousands of people every year. This makes this attack on EDTA clearly one of more than just incompetence on their part, but clearly relates to their bias to keep patients needlessly getting out moded therapy from bypass surgery to antidepressants, Ritalin, antihypertensive and other heart and related medications. In fact if the amount of money spent lowering cholesterol to achieve what I consider to be a very small benefit in heart disease were redirected into lowering lead and other heavy metals with EDTA, this country would, overnight, dramatically improve the health of our citizens. Lower lead levels would largely eliminate the need for billions of dollars of marginally effective health care expenditures. Today’s health care is almost totally focused on treating symptoms, while virtually ignoring CAUSES such as the toxins now known to be present in everyone coming from our polluted water, food and air. EDTA is an important symbol in the fight to reprioritize our medical efforts toward instituting meaningful measures that clearly return big savings to our country by dramatically improving the health of our entire population. The evidence linking lead levels to IQ and worker productivity and LONGEVITY is overwhelming. That science makes today’s misguided emphasis on lowering cholesterol levels look like a scam. Clearly politicians are fearful of admitting that Lead is released into our air when we burn coal to produce electricity. Since the patents on EDTA have expired, there are no billions of dollars to seduce the scientific community into even studying any therapy to lower lead levels in our entire population since that might eliminate the need for many of today’s most profitable drugs. The electronic cigarette – best way to quit smoking! 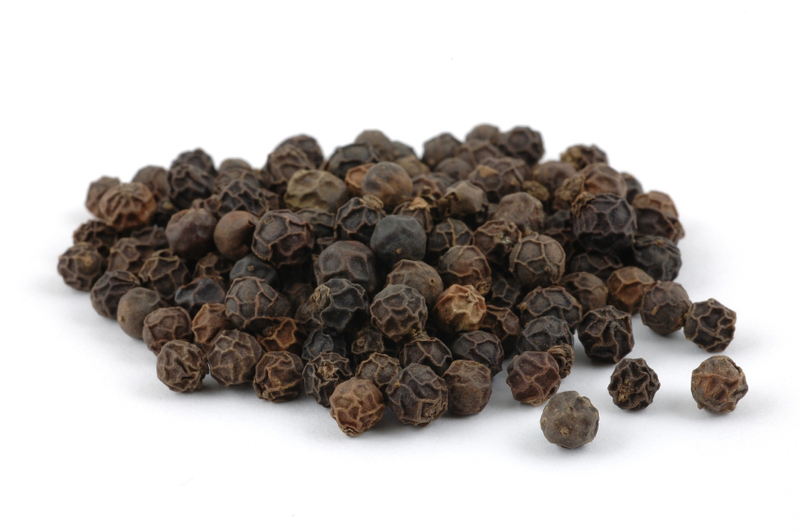 Take the fresh ground pepper! a billion here and there…. where are the consequences?